DSB (Deep Sand Bed) or No DSB? Ever since people started putting fish in saltwater aquariums, there has been a debate not only over what the best material is to use but also over the optimal depth of the sand bed. 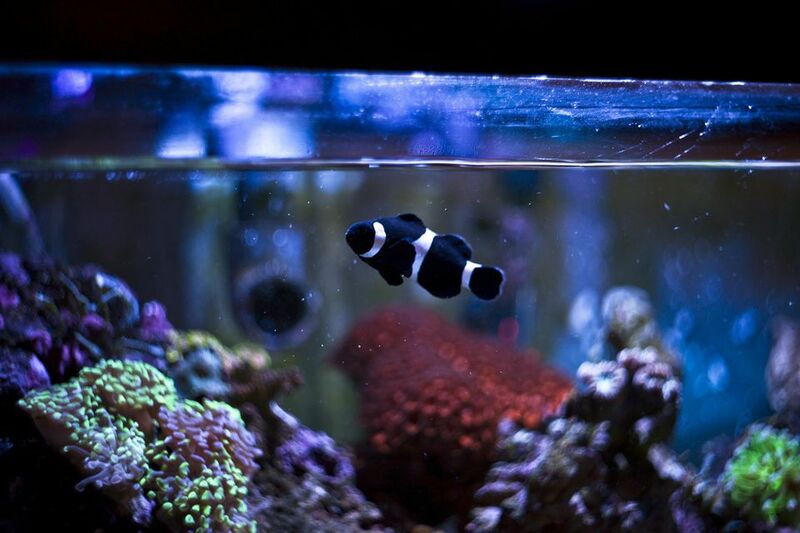 Robert Metelsky, the author of "Simplified Reefkeeping", recommends a thickness of approximately 1-3/4 to 2 inches, which is about the average depth used in most saltwater aquariums. This substrate depth works well as a pad for Live Rock and corals as well as giving the tank a "natural" look. The popular Live Sand Filter (Jaubert/Plenum Filter) is the brainchild of Dr. Dean Jaubert. This innovative filtration system consists of a Deep Sand Bed (DSB) of Live Sand, a plenum, and a protein skimmer. The recommended depth of the sand in a DSB is about 5". The DSB in the Live Sand Filter depends upon "sand stirrers" moving through the sand, keeping pockets of toxic gasses (produced by decaying organic matter) from forming. Invertebrates, such as Sand Sifting Sea Stars, Sea Cucumbers and Snails (the Nassarius is legendary) plow through the substrate, consuming detritus and uneaten food as well as releasing the toxic gases in small quantities before they can grow to dangerous levels. Wrasses, such as the Yellowtail Coris and the Dragon Wrasse, which bury themselves in the sand when frightened or seeking refuge for sleep, also do a great job of stirring the sand, however, they do not consume detritus, as other stirrers do. Some people believe that a plenum is not required to reduce the nitrates, that the sand at the bottom of the DSB traps the water long enough for anaerobic bacteria to form and begin digesting the nitrates. Number one, of course, is that, if you don't have the sand stirrers to consume detritus and uneaten food, as well keep the substrate free of gas pockets, the sand can turn into a toxic gas factory. Number two is that, without the nitrate consuming plenum, there is really no point in including a DSB in your system. When it is used as part of a Jaubert/Plenum Filter, it seals the plenum and allows the anaerobic bacteria to convert the nitrates in the tank water into a harmless byproduct, Nitrogen. FAQ - What kind of live rock is the best to buy?